Momma Told Me: It's what you put into the bowl that counts. Aside from the fact I would spend hours alongside my mother in the local pick-your-own fields March-June, the over-abundance of fresh fruits and festive holidays inspired a plethora of fun food creations from Momma. While April Fool's Day was without a doubt her biggest triumph each year, much fuss was always made over what treat would be devised to craft out St.Patrick's Day treat. A stop at the bakery for green bagels was a must, but Momma always had a way of reminding me food need not be fancy to be fun. While most of my breakfasts were rushed during the week, it was those special holidays that fell on or near weekends I looked forward to most. I'd awake excited to the sound of Momma's pots or bowls clanking in the kitchen. Rainbow waffles, green eggs and ham, mint chocolate chip pancakes. I never knew what I'd find but some of my favorite creations often came in a bowl. A bowl of Quaker® Oats that is. 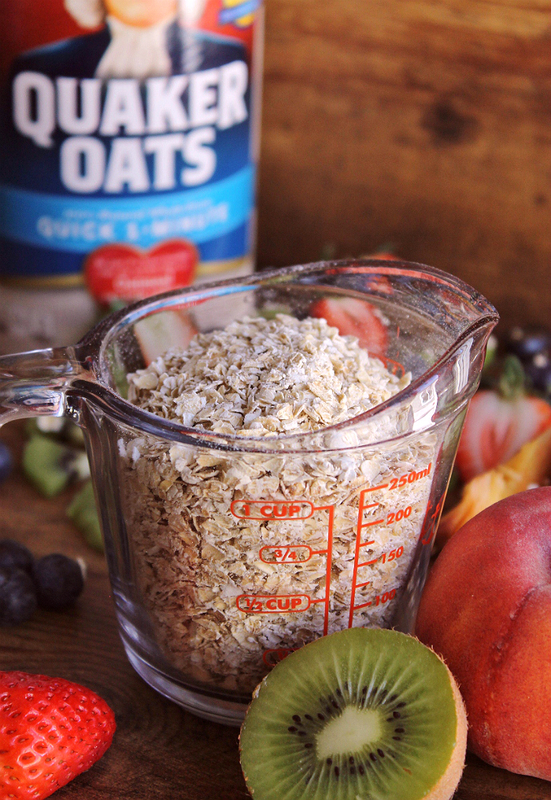 Quaker® Oats not only come in delicious varieties, but time conscious ones as well- I always keep a container of Quaker® Quick One Minute Oatmeal on hand for baking, breakfast, or even a post workout smoothie. 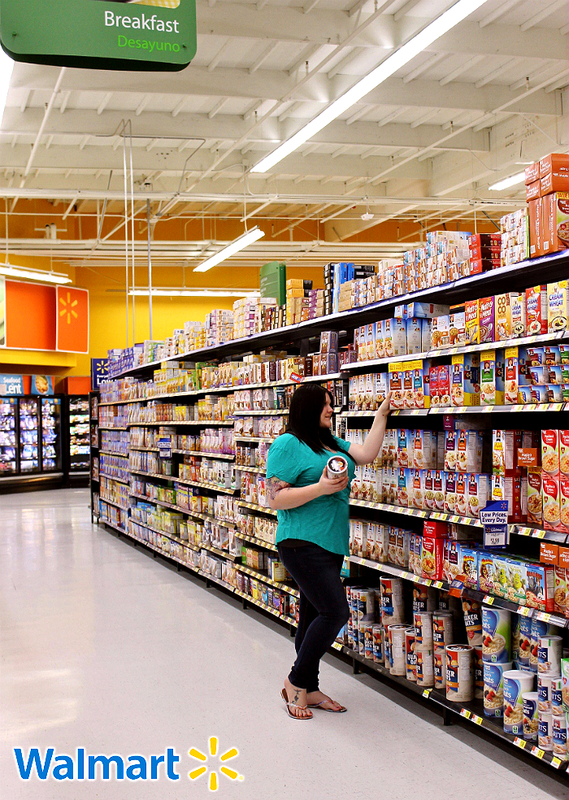 In fact, Walmart and Quaker® have teamed up asking oatmeal lovers to Bring Your Best Bowl in the search for the most delicious and creative 2-5 ingredient creations. Of course the best part about a bowl of Quaker® Oatmeal is how you choose to personalize it with your own ingredients, toppings, or mix-ins. Since it's so easy to make in as little as a minute in the microwave, you can spend a little extra time creating your perfect bowl. I know you have your favorite way to enjoy Quaker® Oatmeal, so why not share your bowl and enter to win $250,000 - Top recipe entries will even be created and sold in Walmart stores for a limited time in Fall 2016! The Bring Your Best Bowl contest began in January 2016 and ends March 12, 2016, so hurry up and get your entries in! Not that creative? That's okay, if you're more of the Pinterest type browse the Bring Your Best Bowl Quaker® Love hub and check out some serious Pin-spiration from other amazing foodie bloggers like me. (There are even some savory suggestions that might make the cut for your next meal!) Of course I heard the call and headed to my Walmart to pick up my Quaker® Oats and a few (just 4) ingredients to make a bowl inspired by Momma and her love for festive holiday food. Sometimes life gets overly complicated, and this week was no exception, so I kept it nice and simple with beautiful fresh fruit ingredients direct from Walmart's in store produce department. Kiwis, peaches, strawberries, and blueberries were the only add-ins I needed to make a colorful bowl to remind me my best bowl we somewhere over the rainbow. 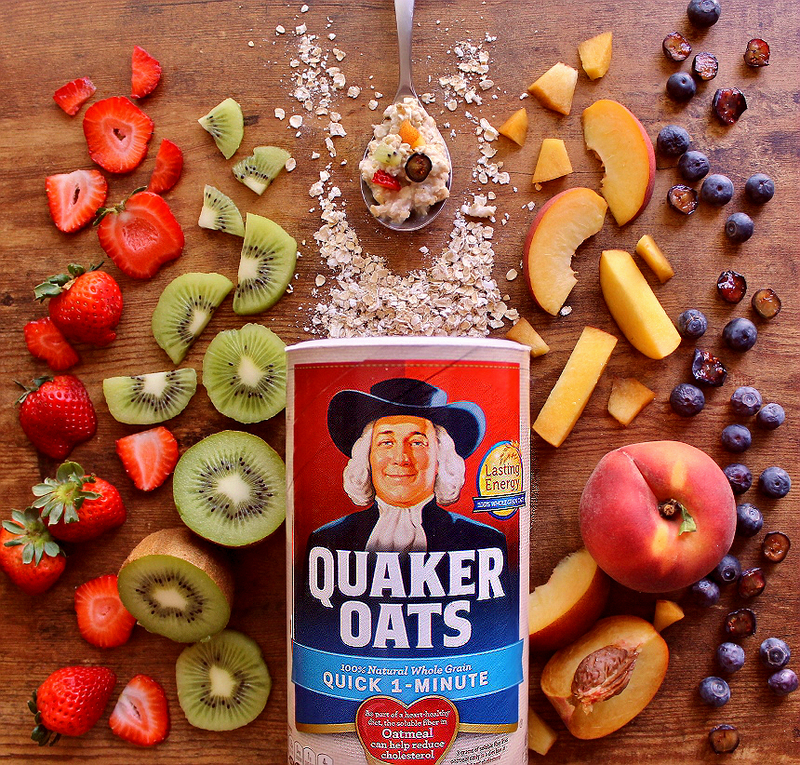 It might not be the fanciest flavor composition but a hearty bowl of Quaker® Oats and fresh fruit makes my smile any day. And any little ones who happen to be afoot are sure to smile at the beautiful purple oats and delicious fresh fruit colors. While there's no right or wrong yo a bowl creation my St. Patrick's inspired bowl does use some creative fruit selection to meet the necessary color spectrum- Since blueberries naturally dye things purple, you'll get a two for one with blue blueberries whole, and the blueberry oatmeal base. 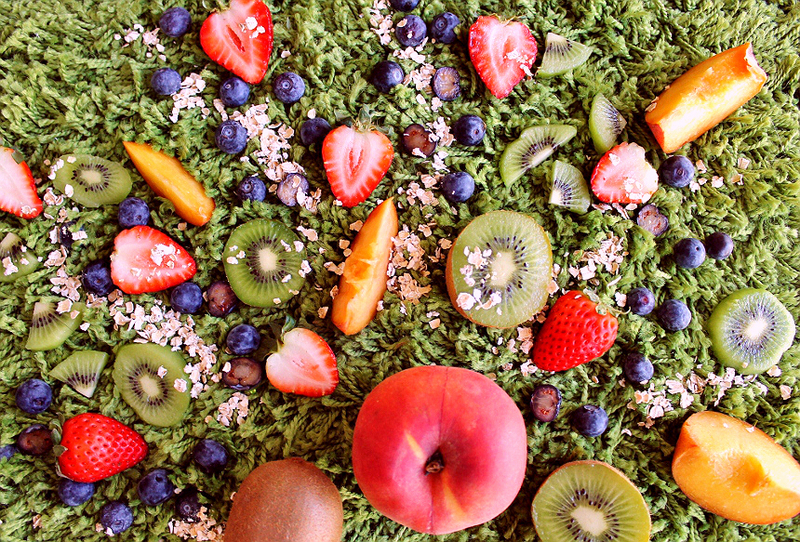 #WIN You can use any variety of red, yellow, orange and green fruits to make the rest of your rainbow but I chose kiwi, strawberry and peach for their appealing oatmeal textures and harmonious flavors. I'll admit it's hard not to smile when you see the beautiful purple oatmeal underneath that sea of beautiful fresh fruit color- but Momma wouldn't have stopped there. This is in honor of St. Patrick's Day and we need something green. 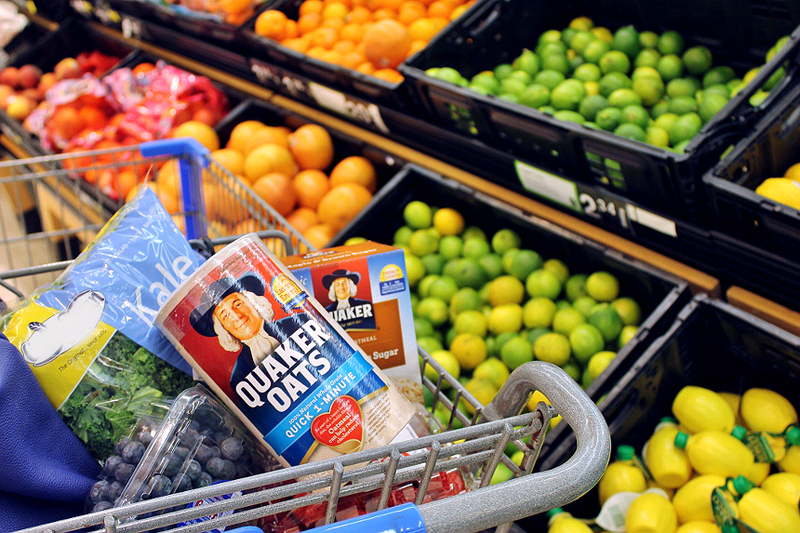 The Quaker® Oats were already out so....have you ever tried oats in a smoothie? 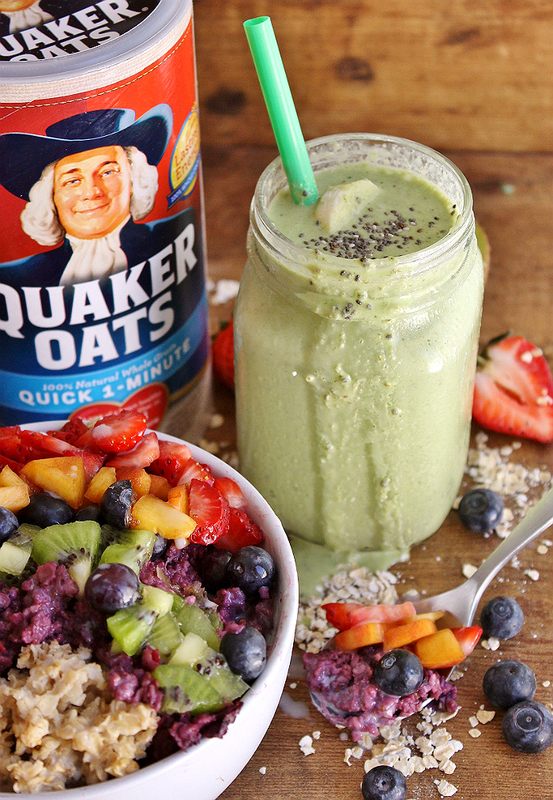 Adding my favorite Quaker® Oats directly to my afternoon smoothie is the perfect way to keep that 'full' feeling into the evening- and it adds a delicious texture too! 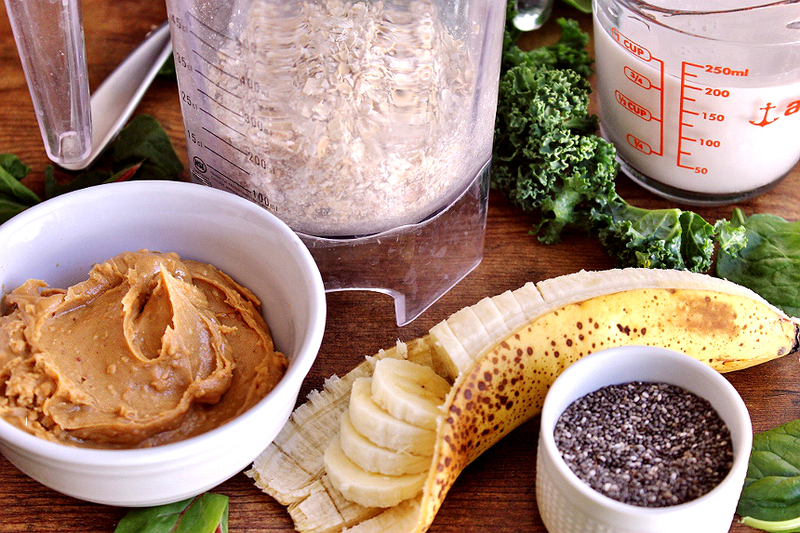 All you need to make my 'famous' PBK Oat Smoothie is your choice of milk substitute, fresh kale, half a banana, a 1/4 C of peanut butter, 1/4 C Quaker® Oats Instant Oatmeal, some ice, and a TBS of Chia seeds. If you really want to go for the mean green machine impact add a handful of spinach. And don't knock me on the kale here folks- you wont's taste it at all beneath that delicious peanut butter banana oat base! Serve with a few banana 'coins' tossed in the top for good luck. However you decide to Bring Your Best Bowl make sure you do it soon, entries must be in by March 12, 2016 (*Complete sweepstakes rules here. 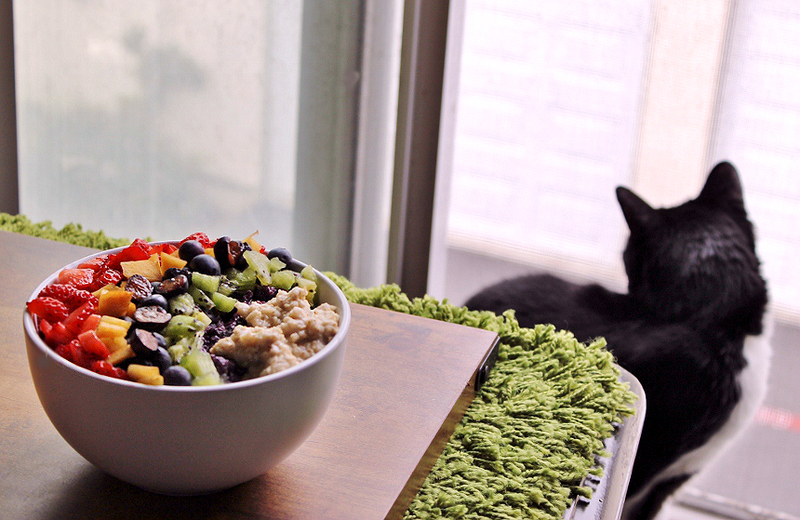 )- but the delicious inspiration will be live on the Best Bowl Quaker® Love hub much longer. Your bowl will never be bored again with the amazing recipes my fellow bloggers and foodies have developed from across the country. I do have to say, though, my Rainbow Oatmeal Bowl and PBK Smoothie is appropriately festive for the upcoming week. I do think Momma will approve. 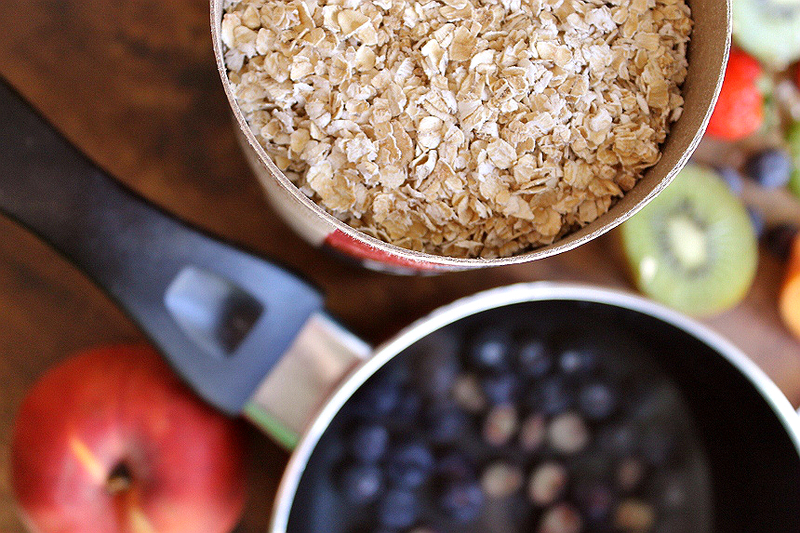 Now, tell me, what are some of your favorite ingredients when enjoying a bowl of Quaker® Oatmeal? What Daughter Says: My bowl's full of color, flavor, and harmonious texture. 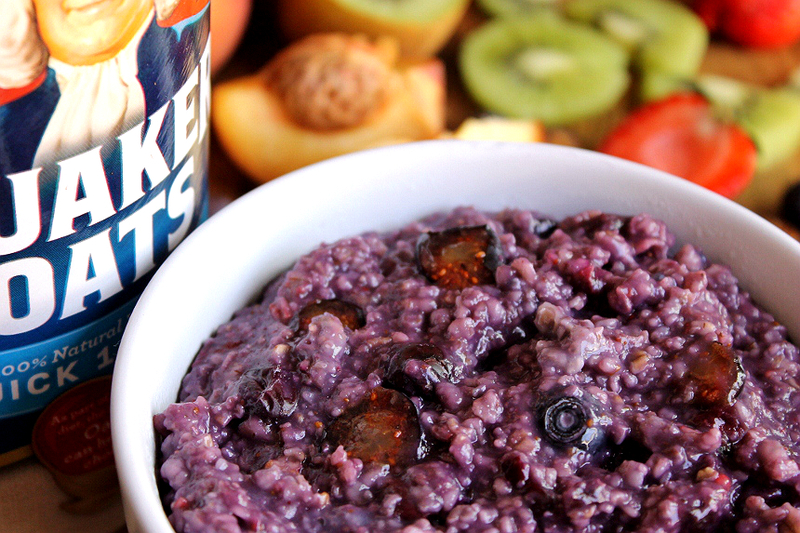 Those blueberry oats make me smile with every bite! 1. Prepare 1/2 C Quaker® Oats Quick 1 Minute Oatmeal according to package directions in microwave and set aside. 2. With remaining 1 1/2 C water over medium high heat boil 1/4 C halved blueberries until they begin to soften and water turned purple. 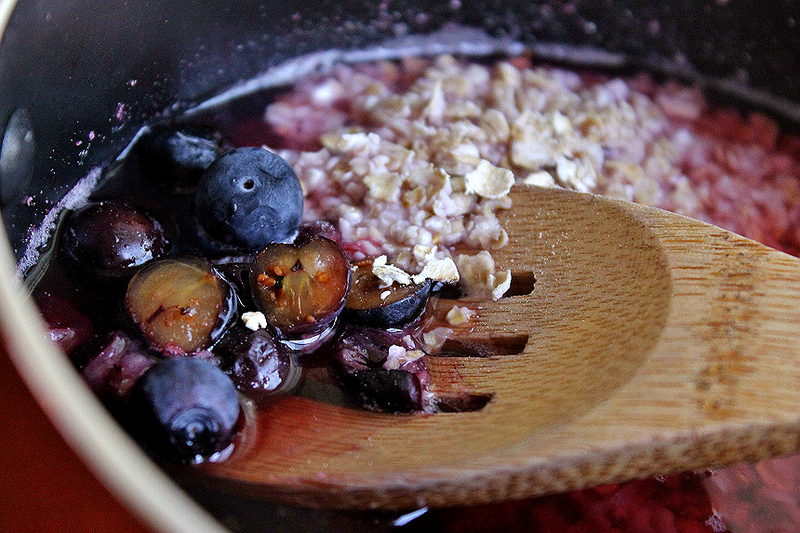 Add remaining Quaker® Oats Quick 1 Minute Oatmeal and cook to desired consistency. Remove from heat and place in bowl as base. 3. 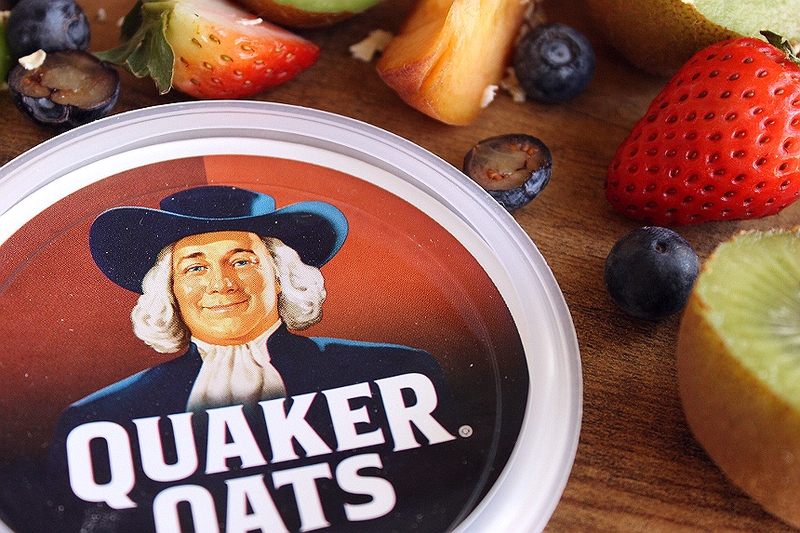 Serve the original Quaker® Oats portion at the edge of your bowl nearest you. These will be your 'clouds.' 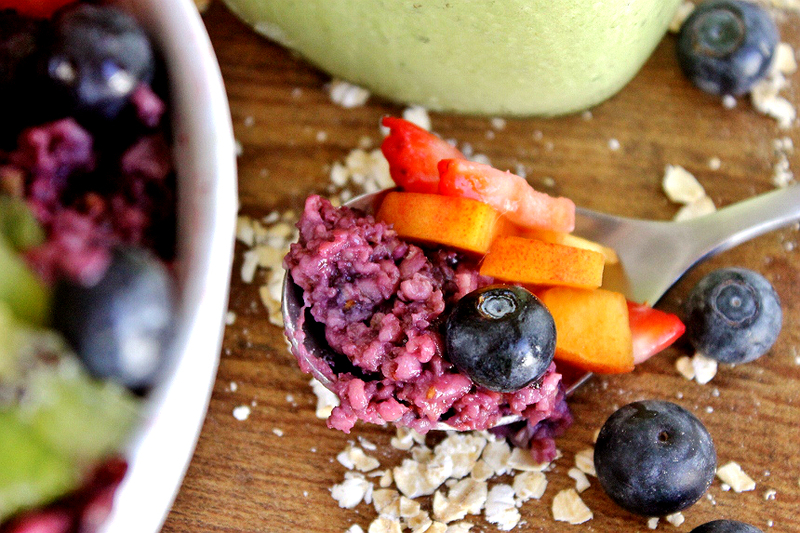 Skipping a portion for your purple ring, layer the fresh diced fruit in a half crescent from the inside out; purple (oatmeal,) kiwi, remaining blueberries, peach, and strawberries. This looks so beautiful and fresh!I love that you gave us two delicious recipes as well! Oh my gosh that would totally hit the spot! I need to make this! You pictures are gorgeous! Oh my goodness, talk about delicious looking. 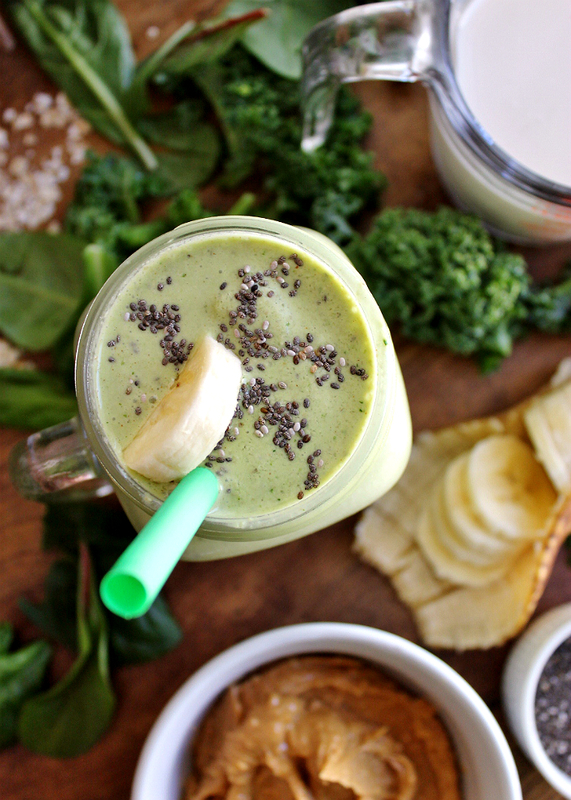 And that smoothie looks perfect for a mid-afternoon snack. Thanks so much for sharing. My mouth is watering right now. I think my girls would love some blueberry oatmeal. Definitely making it asap! I just love the beautiful colors of this dish! Makes me happy ! This oatmeal sounds like something for the whole family. I am obsessed with your photos! They make me want to lick the screen! 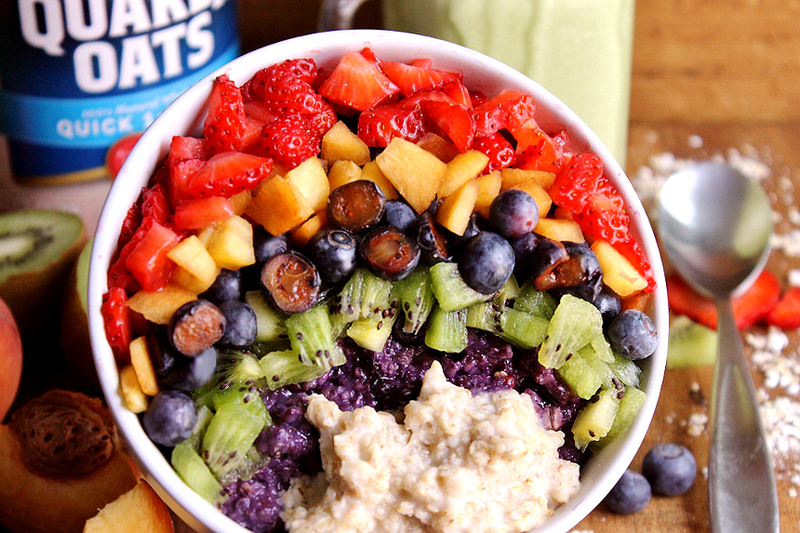 Oatmeal and fruit is such a great combination. I tend to get too impatient to cut up fruit for mine and end up eating it as is. I guess I need to slow down and make my oatmeal more enjoyable than it already is. That looks fantastic. I love when I can create a hearty breakfast without it being heavy. This is just beautiful. That looks really good! I love how colorful it is. This would be a great breakfast! This looks so delicious! I will certainly give it a try for breakfast one morning! That smoothie sounds great! 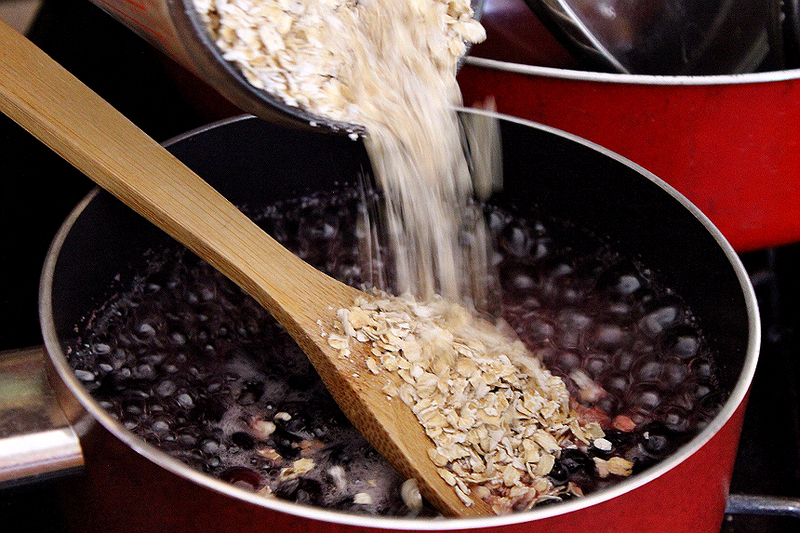 Oatmeal has always been a breakfast favorite for my family. This smoothie would be perfect for my morning drink. I am always looking for new recipes to try. I would love to make this for breakfast. My kids would love it and it is so healthy for you. I have been trying to eat healthier this year. I will have to get the ingredients i need so i can make it for breakfast this weekend. 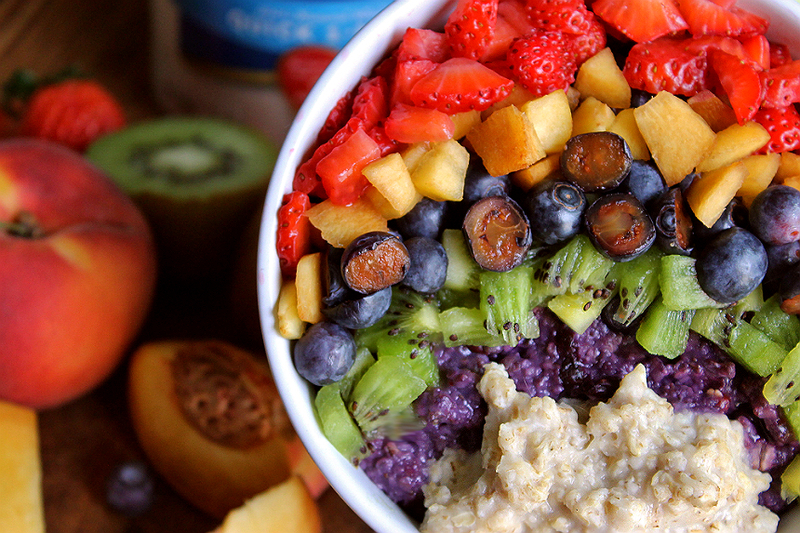 I love how colorful this dish is! 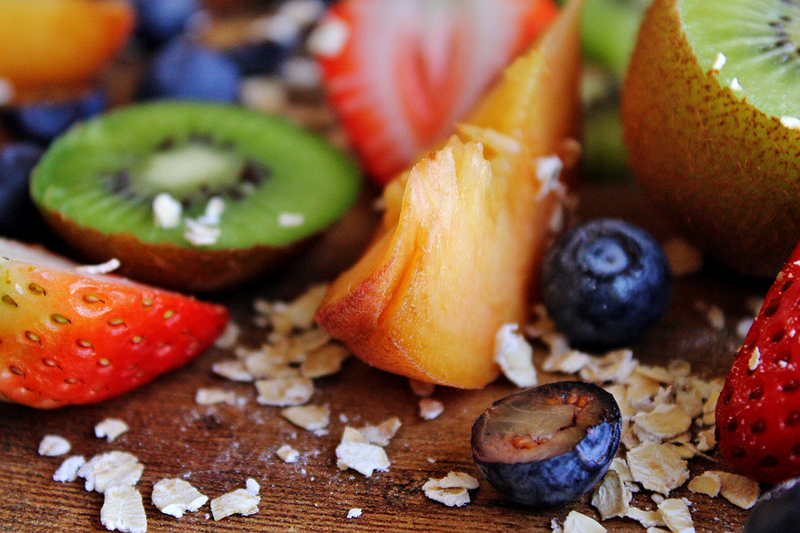 You can't go wrong with fresh fruit! This looks so good!! I need to get better about eating oatmeal there is so many benefits to it. Wow it looks SOOOO pretty! I bet it tastes good too, I love the animated gif image!